Ixtapa and Zihuatanejo are two beach towns on Mexico’s Pacific coast, a little over four miles away from each other. Despite their proximity, these are two towns with very distinct characters: Ixtapa offers you the experience of a modern resort, and Zihuatanejo offers you a bucolic, traditional Mexican fishing town. Ixtapa is generally characterized by contemporary, high-rise, resort villages whereas Zihuatanejo offers the atmosphere, character, and feel of traditional Mexico—and is also host to some very fine hotels offering exceptional accommodations. Ixtapa was a coconut plantation until the Mexican Tourist Board, looking for a geographical location to build a Cancun-like resort on the Pacific Coast in the 1970s, chose this village as the next ‘big place’ for Mexican tourism. Today it is host to one of Mexico’s most modern resorts, offering good services and infrastructure, first class luxury hotels and amenities that meet the holidaymaker’s every need. Ixtapa lies about 125 miles northwest of Acapulco. Zihuatanejo is one of the most attractive coastal areas on Mexico’s Pacific Ocean, frequented by Mexicans and foreigners alike, with great connections by road and air. It offers you the opportunity to experience local provincial life in a quiet, relaxed and very natural atmosphere. Accommodations here range from the simple to the elegant, depending on your tastes and budget. Both locations are set against the backdrop of the majestic Sierra Madre Mountains, have excellent beaches and stunning natural scenery. There is a bicycle trail between the two towns and pedal-bikes may be rented locally if you’re able and inclined to move around using pedal power. Regardless of which kind of coastal holiday you’d like to go on, this area offers you the opportunity to experience a wonderful climate, stunning natural beauty and great facilities. Consider Ixtapa and Zihuatanejo when you’re considering a vacation by the ocean with your partner, with your friends, or a place to take your family. The area offers a panoply of attractions and amenities which provide relaxation and enjoyment surrounded by a beautiful natural environment next to the majestic Pacific Ocean. Both Ixtapa and Zihuatanejo have stunning beaches for you to experience and enjoy. There are some great beaches for swimmers and surfers, and in some places the water is crystal clear— perfect for snorkeling. A wide variety of water activities, including sailing and windsurfing are available for you to experience in Ixtapa and Zihuatanejo. SCUBA diving trips can also be arranged, and surfing is particularly good in this area as well. Local boat tours are a great way to see remote places otherwise not accessible or difficult to get to. Your tour can include stops at good places for swimming, snorkeling and diving, give you access to remote and secluded beaches, or if you just want to relax, take a sunset cruise and watch the sun melt into the Pacific Ocean in style. Zihuatanejo is considered by many to be one of Mexico’s finest destinations for sports fishing. See Also: Sports Fishing in Mexico. There is plenty to do away from the water, and activities include local tours that will take you into the nearby countryside to see local villages and towns, lagoons and other places of interest. Horseback riding along the beach and through the coconut plantations is another option for you to experience. In addition to local tours and horseback riding, you may also participate in a number of eco and adventure tours from Ixtapa and Zihuatanejo. For the latest eco and adventure activities, inquire at your hotel. The climate here is ideal for golf and there are several excellent golf courses in the area. Most of the course are affiliated with, or owned by, key hotels in Ixtapa. By Air – You can fly to Ixtapa / Zihuatanejo from the United States, Mexico City and Guadalajara, among others. The airport is quite close and just to the south of Zihuatanejo. Ground transportation options, including taxis and shuttles, are available from the airport. For detailed information about flights and flying, see the Mexperience guide to Air Travel in Mexico. By Bus – You can travel to Ixtapa / Zihuatanejo on a luxury bus from Mexico City – the trip will takes around 9 hours. A bus journey from Mexico City could be a good alternative to flying from there, especially if you have time, are on a budget and want to see the sights. Estrella de Oro run an executive bus service, called “Diamante“; a bus with just twenty-four seats on board offering the highest comfort and service in bus travel. The bus station is at a shopping center in Ixtapa; you will need to take a cab from there to your hotel in Ixtapa; the road trip to Zihuatanejo is about 10 miles. For detailed information about bus transportation read the Mexperience guide to Bus Travel in Mexico. By Car – Driving to Ixtapa / Zihuatanejo from Mexico City will take you about 8 hours. It’s recommended that you take the toll roads when possible, as the journey will be faster and safer. See additional information about Driving in Mexico and Mexico’s Toll Roads on Mexperience. Exchanging Currency: Banks with ATM machines are found throughout the downtown areas of Ixtapa & Zihuatanejo. During business hours, they and the Casas de Cambio will buy traveler’s checks and cash from you as well. For detailed information about exchanging and managing your money, read the Mexperience guide to Money in Mexico. 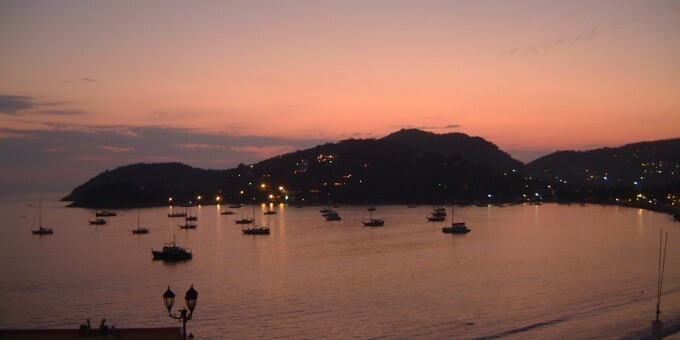 In Zihuatanejo, the night scene ends around midnight, at the latest. For Mexican-style all night partying and dancing, you’ll need to stay in, or go over to Ixtapa. Here you’ll find the usual nocturnal offerings that will keep anyone looking for lively night life happy until the sun comes up. Locally Hosted Parties – Many of the major Hotels host their own parties which include dinner, dancing, a show and all drinks for a fixed fee. Ask at your hotel to find out what is happening locally. Nightclub Scene – Nightclubs are a big part of the holiday scene in most Mexican Coastal resorts and Ixtapa is no exception. The nightclub scene starts at around midnight and ends when the sun rises! Some night clubs charge an all inclusive cover fee; some a smaller cover and drinks on top. Drinks are served all night – don’t even consider going to a nightclub before 11pm. Nightclubs keep going all morning and most people will start to leave between 5 and 7 am. Shopping in Ixtapa is generally limited to kitsch tourist items; although there are some shopping areas that offer good clothes, arts and crafts. 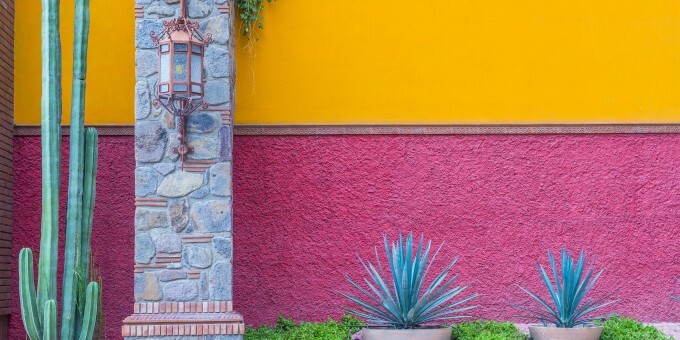 Shopping in Zihuatanejo offers more choice in terms of interesting purchases, including the choice of a couple of traditional markets and specialist Mexican craft shops. Ixtapa / Zihuatanejo are hot and humid year-round. The rainy season is May to October, but as with most monsoon areas, rains tend to be fierce and brief in the late afternoon, leaving the evenings dry and cooled off. September brings the highest levels of humidity and sees the heaviest of the rains.